If you have a picture that you want to transfer onto wood you have two options, pay for a service to do it, or have a go at it yourself. 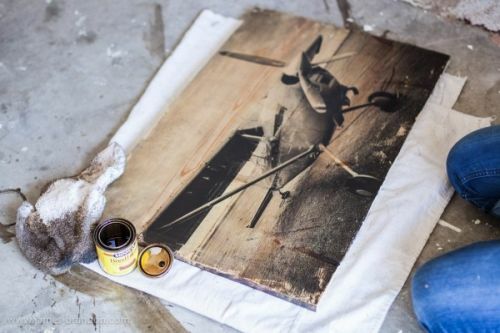 Photographer James Brandon shows how to transfer a print onto wood at the leisure of your home, using a laser jet print and a gel medium. (Yes, it has to be laser, inkjent won’t cut it for this project). The results are gorgeous and the entire project is fairly simple. You can read the entire tutorial on DPS, or watch a video demo after the jump.